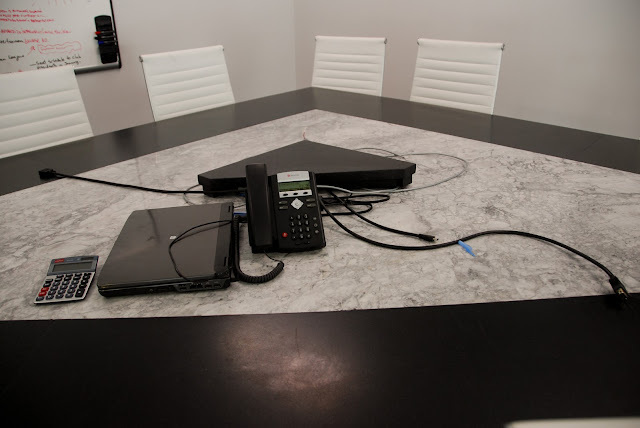 The Granite Gurus: Our Conference Table Completed! 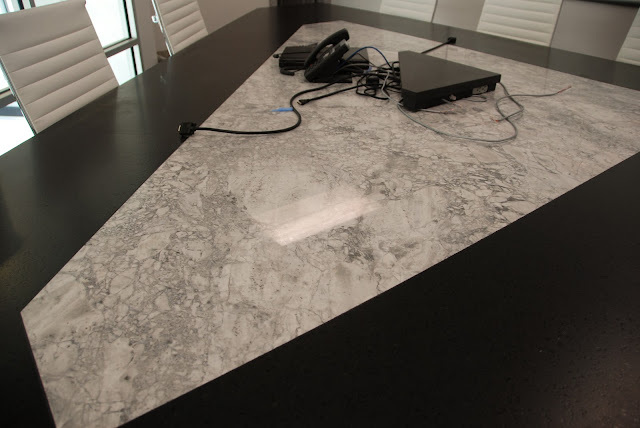 Last week I posted some pictures of our Conference Table in progress, click here to see the before pictures. Today I have pictures of the final product. 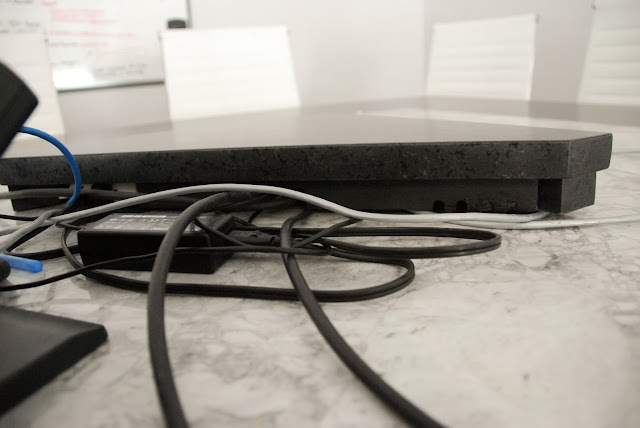 One of our employees also dabbles in welding, so he actually custom made the metal base. The table is a unique shape, it was designed to fit perfectly with the shape of our Conference Room. 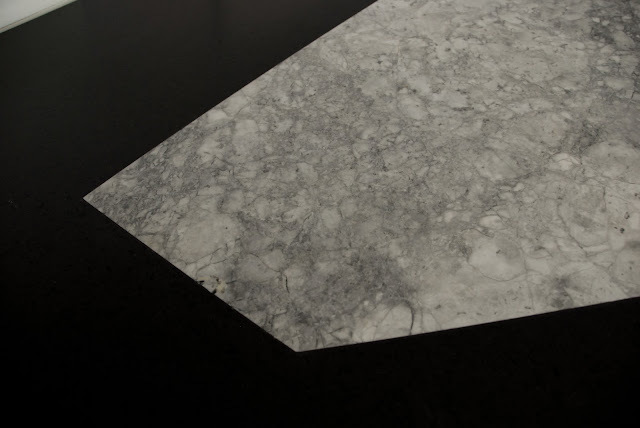 The outer black granite is Irish Black with a Satin Finish. The stone in the middle of the table is Super White quartzite. Both slabs are 3 cm. 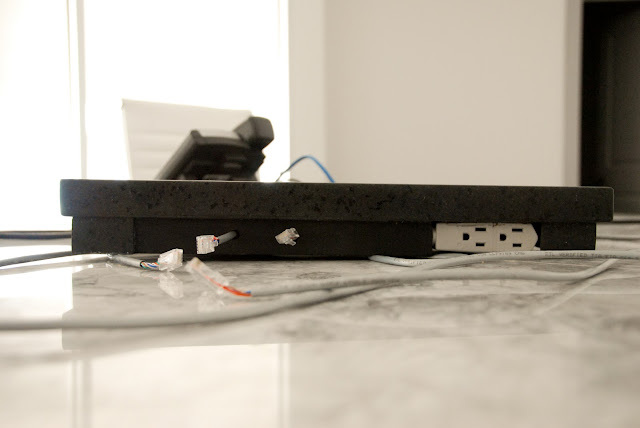 Dan (the owner of MGS by Design) also wanted a little area in the middle of the table to hide all the the cords and outlets. They came up with this custom made piece out of the Irish Black. The cords aren't hidden yet, but this piece is really cool. See the little notches on the bottom where the cords can be pulled through? 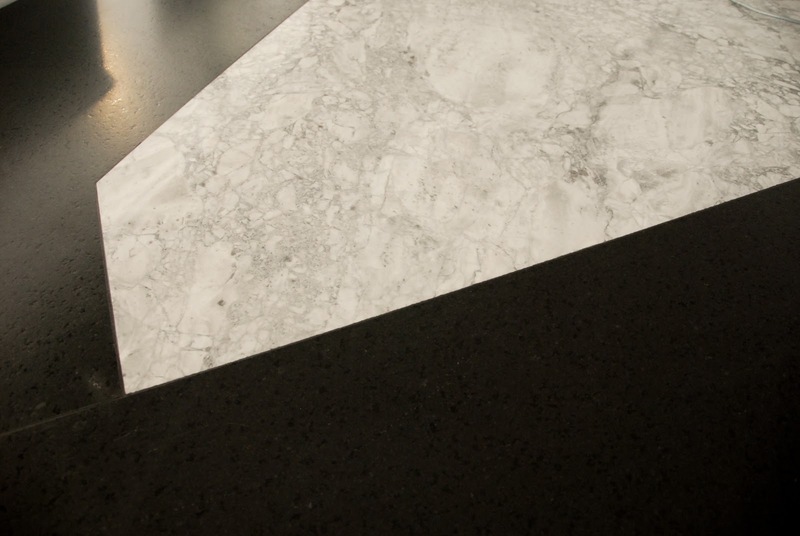 The edge detail is a 1 1/4" Square Polished edge. Looks great! May I ask what it weighs? 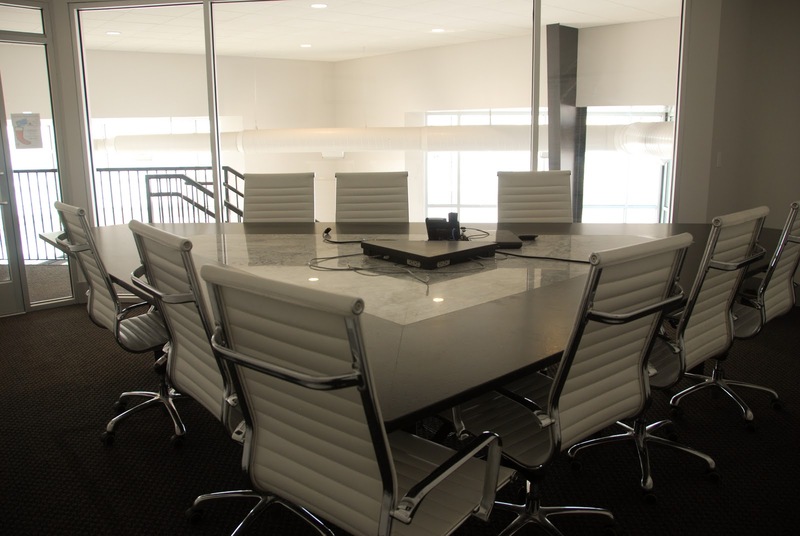 This is one beautiful Conference Table. I'm glad to hear you got it completed. I'm actually in the market for a new table myself! All I can say is, WOW! 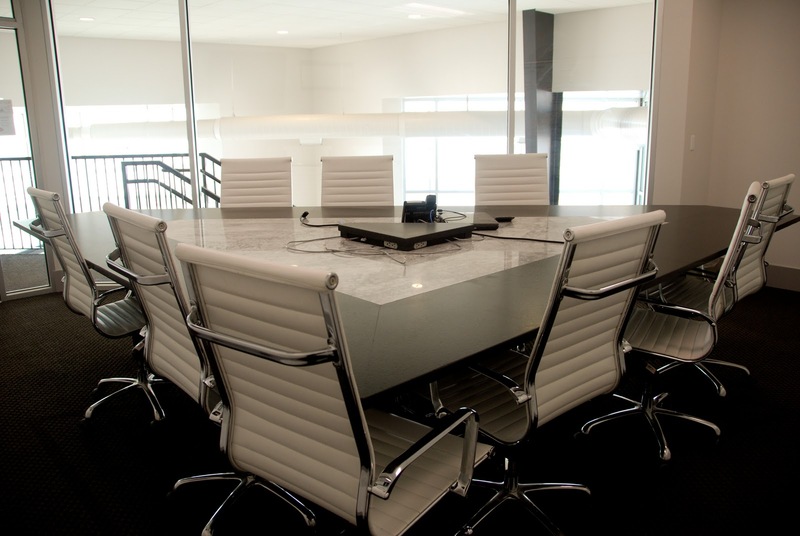 that is without a doubt the most creative and beautiful conference table I've seen. Excellent job. I bet it was a long process but it was well worth it! Thanks so much for sharing. I absolutely love the color you chose for the center pieces. It really makes the conference table pop. Quite interesting! I appreciate the idea behind it.